Ok summer is out but I just finally met up with my favorite little 10 year old Jordan! I haven’t literally seen her all summer. I was in Mexico for most of my summer, and when I came back to the states, she was in New Jersey for the summer with family! So I decided we needed to have a girls day together to catch up. Meet Jordan. She is the sweetest little 10 year old ever. She is my best friend’s daughter and she always loves to hang out with her Aunt Kiwi. She said the cutest thing, she told me I need to adopt her as her step mom, so she can have two moms! She was serious too, so serious she told her mom can we go to an office and get the paperwork done to make me her official step mom! That is the cutest thing, we told her it was impossible but I am still her aunt. She said she wanted me to be a closer relative! She always says sweet things like this. She is very attached to me like I am here mom. I love her and I love our quality time together so we had to make up for months of lost time! I don’t have kids but I am a big kid and every time I have something fun kid related to do, she is the first kid I love to have with me. I think that is why I am the cool Aunt, because I am willing to take her to kid friendly things and do fun stuff. 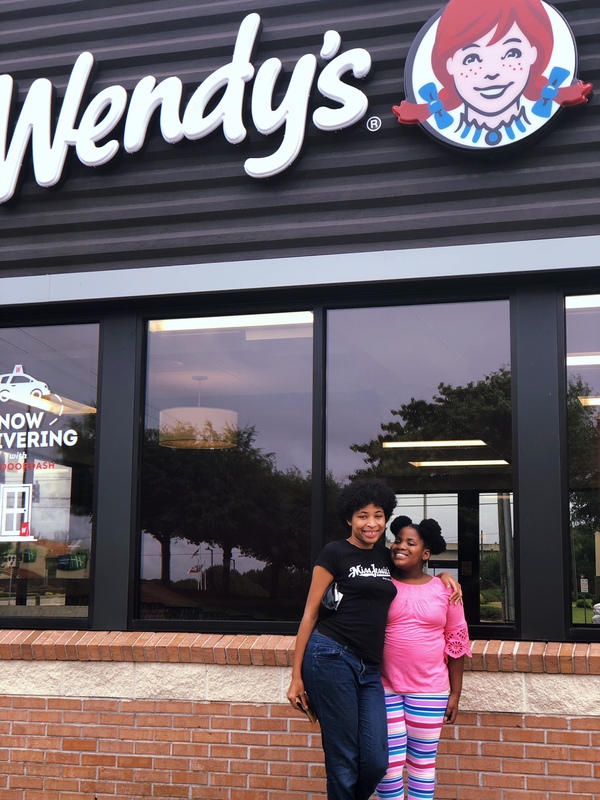 Well her mother and I wanted to see an adult movie together, A Simple Favor, and she was with us but I wanted to treat her to a cookie date at Wendy’s! It was something short and simple right before we headed to the movies with her. I said “Lets have a cookie date, my treat”! I know kids are always used to ice cream dates, but cookie date can be cute too. She didnt even know they had cookie at Wendy’s. I kind of just discovered myself. I learned about the cookie options at Wendy’s when I took my brother on our date here last month. I ordered both of us a Double Chocolate Chip cookie and we sat in the bistro lounge area of Wendy’s. Look first I took my brother to Wendy’s for a date, and now Jordan here for one. I know it sounds weird to take someone on a “date” to a fast food place but Wendy’s have upgraded. Check out this cute lounge area with a faux fire place for the set up. I thought it was cute. And they even have plugs and wi-fi here. So you could actually forget your dining at a fast food place here. 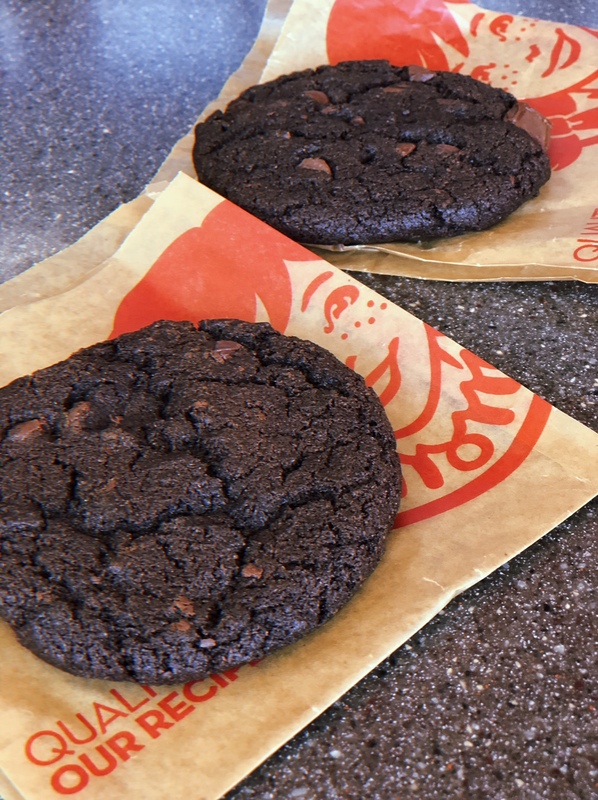 Wendy’s has three different varieties of soft cookies baked in-house – Chocolate Chunk Cookie, Double Chocolate Chip Cookie, and Sugar Cookie! I also ordered some food to go as well as the cookie so I did opt to get A Grilled Chicken Wrap for Jordan and a Apple Kiwi Fruit Tea! 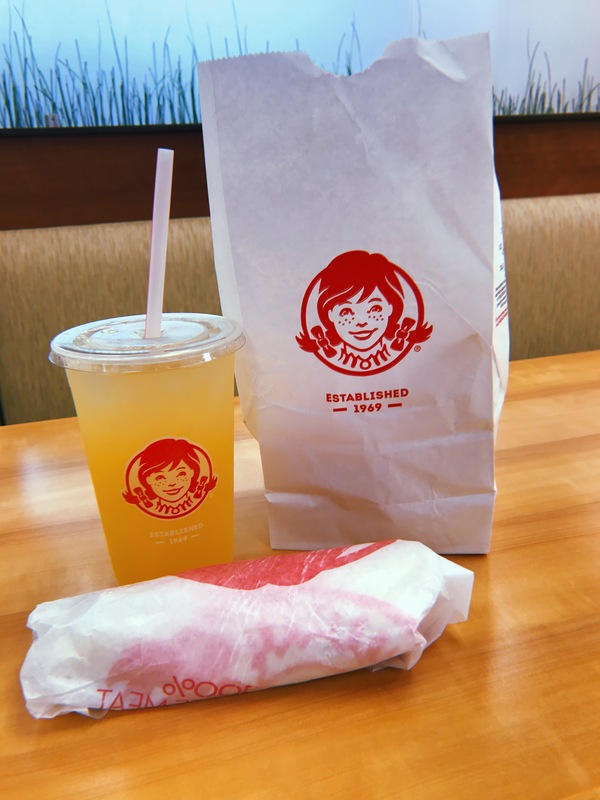 Just wanted to add Wendy’s has a variety of juicy and delicious Chicken items such as the Buffalo Ranch Crispy Chicken Sandwich, Homestyle Chicken Sandwich, Spicy Asiago Club, Crispy Chicken BLT, Nuggets, Tenders and more! Jordan was happy for our little cookie date. She is really a simple kid. I felt bad for her that we were dragging her to the movies to see something that wasn’t a kid movie per say, but I compromise. Don’t tell her, but we are making it up to her this week by surprising her with a media screening of the upcoming SMALLFOOT movie. She has no clue! 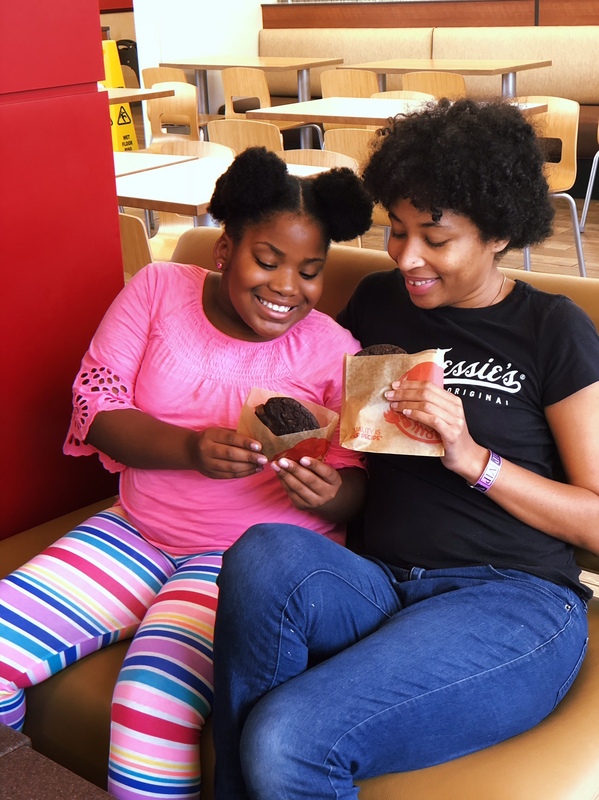 Have you ever took your kids on a cookie date? I try and spoil my kids like this when I can because it is fun to do. I had not seen the Wendy’s cookies before but they look fresh and homemade. That’s why I love Wendy’s. It’s so much classier than other fast food restaurants. AND it’s super tasty. So cute to spend time doing little things. Great reminder. Times with Auntie will be cherished memories. Cookies make for great memories at that! Wendy’s cookies look amazing! I would love to try that cookie! Cookie date sounds so fun! This sounds like a fun date with your niece! 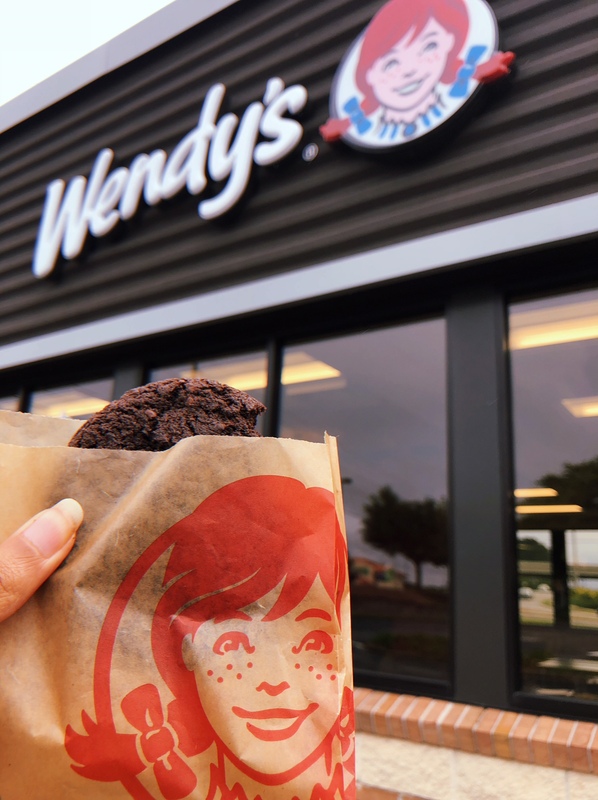 We love cookies from Wendy’s! You both look like you have a beautiful relationship! Before I was a mom, my nieces were my go-to for kid activities and it was always so much fun! She’s adorable, and what a fun idea. I am addicted to Wendy’s frosties, and they have the nerve to be 50 cents. I might not make it out. How cute is she! What fun. Looks like a great way to spend the day. looks like a lot of fun! Oh my gosh, yum. Now I want a cookie! I’m headed to Wendy’s. We enjoy eating there for a quick and tasty meal. Jordan is a cutie pie. Ok so their chocolate cookie is a treat of mine every once in awhile too. Jordan is cute. And Wendy’s is one great place to spend quality time. I love that Wndys has cookies. Forget the burger and I will just eat the cookies. There is something so special about a niece! I love being a mom, but first I was an aunt and spending time with the kids is always fun! We love going to Wendy’s too! Such a cute idea a cookie date. We usually do a frozen yogurt date. So fun to go wild with toppings. I am salivating looking at the moist cookies!! I want to go on a cookie date. What a sweet auntie you are! i love love love this! a cookie date sounds amazing! i had no idea they had those at wendys, and now i want to do a cookie date with my daughter. btw you sound like an awesome auntie! So precious she wants you as a second mom! That is so sweet you got to treat her to a cookie and spend the day with her. I have never gone on a cookie date with my kids but we do go on Ice Cream and Frozen Yogurt dates quite a bit. THey’re not really big cookie eaters. Looks like you ladies had a great time though! WOW your local Wendy’s looks amazing! 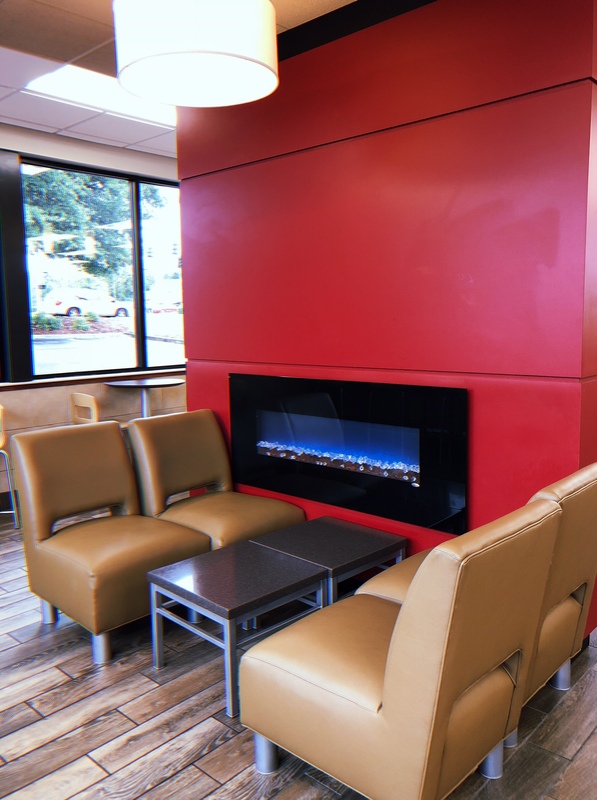 Our Wendy’s does not look like that, no fireplace and no cookies! You are lucky. How cute are you two. I need to do a cookie date with my daughter. 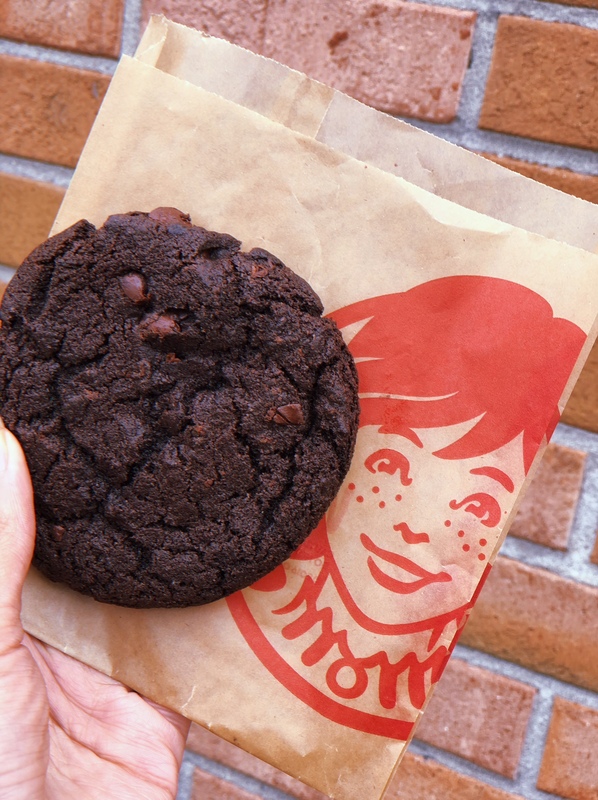 That Wendy’s cookie looks so good. That’s sweet of you to do, and she sounds sweet enough to deserve it. It is nice that Wendy’s really updated their look. 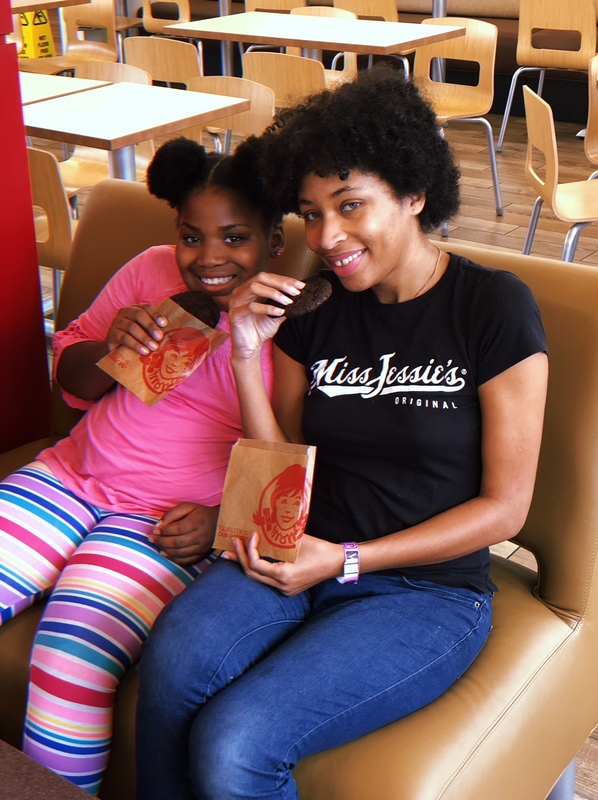 I haven’t been to a Wendy’s in forever, but when I did go I loved their Jr. Bacon Cheeseburgers, frosties and cookies. This is such a wonderful idea. I’ll have to do this with my boys when they get a little older! I had no idea Wendy’s had cookies. We just stopped by there yesterday for National Cheeseburger Day! I’ll add a warm cookie to my order next time. You are such a great friend! I like to take my kids one at a time to do different little date things. I took my son grocery shopping, one day and as a reward, we went to Wendy’s to get a frosty. I didn’t want anything, but I discovered that they had cookies, too, so I got one of the double chocolate chips. I couldn’t believe how HUGE they were! I thought they’d be small like McDonald’s so that was a pleasant surprise. This is so sweet and she’s adorable! I didn’t even know Wendy’s had cookies. A cookie date is a great idea! Aww, she sounds so sweet! Cookies are sounding mighty good right about now! This is so sweet! It’s so great that you have such a wonderful relationship with your niece and those cookies look so delicious by the way! I didn’t know they had cookies at Wendy’s either. Those chocolate cookies look so good! Maybe I’ll have to branch out from my usual Frostie. Oh how sweet of you. This makes me misses my little sister, we also do cookie dates and enjoy the sunset! How cute is your niece, love that you guys go on cookie dates. First I didn’t know Wendy’s had cookies! 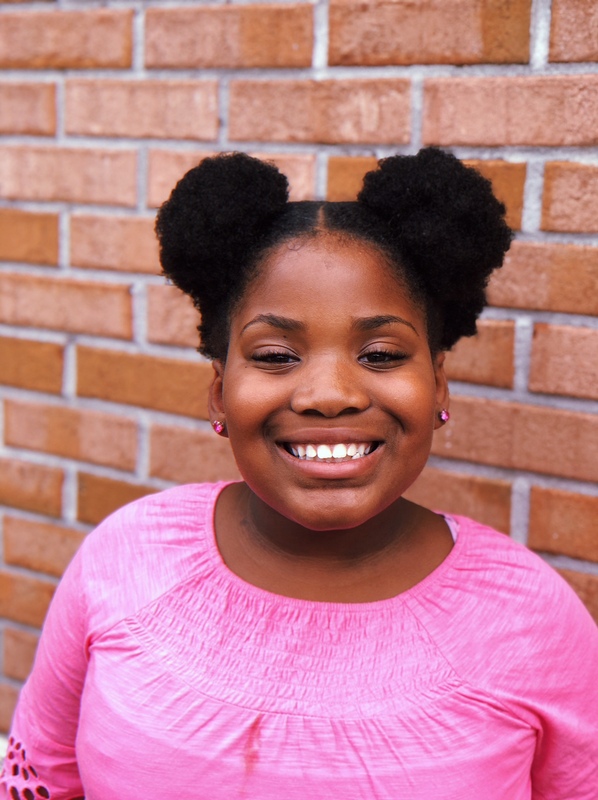 My mini me and I will definitely be going there on our next date to check out the cookies and get a snack. This is so sweet! It reminds me of my relationship with my niece and nephew, as they get older I have to change up things but my niece would LOVE a cookie date! I like how Wendy’s promotes and raises money for Foster and Adoption. It’s an important issue that people often talk about positively, but rarely do. I’m glad Wendy’s is so positive about it and helps raise both funds and awareness. How cute! This looks like so much fun!!! You gotta love a good cookie!!! This is beyond sweet. It is so lovely that you spend such quality time with your niece. It really seems like you have a beautiful bond! I had no idea that they had cookies like this there. I will definitely have to take my kids to get them! Those cookies look so delicious. It’s great that you had an amazing time.